Is the Lansdowne Road pay agreement dead in the water? The government is saying it’s not. Minister for Housing and Urban Renewa Damien English. THE GOVERNMENT IS insisting that the Lansdowne Road agreement on public sector pay is not dead in the water amid increased industrial unrest. This week saw the confirmation that gardaí are planning to strike next month as well as a new pay deal for Dublin Bus workers. Secondary school teachers and public servants are also among those who are objecting to their current pay arrangements. The Lansdowne Road agreement provided a timetable for the phased reversal of cuts that were made to public sector pay during successive austerity budgets. The phased increases are scheduled to begin next year and will last for three years. Secondary teachers in the ASTI and gardaí in the GRA rejected that deal and the subsequent industrial disputes have led to some suggesting that the agreement will not last. Speaking this afternoon on RTÉ’s The Week in Politics, Independents 4 Change TD Joan Collins said she believes the deal is coming to an end as more public sector workers agitate for faster pay restoration. “They (the government) certainly won’t be able to resist the demands that are coming down now. The Lansdowne agreement for next year on public sector pay, that’s just not going to hold,” she said. It’s pressure from below, people have had enough. The government have told us that we’re entering a stage of recovery and people expect something from that recovery and I would support any worker trying to increase their wages. Fianna Fáil’s Thomas Byrne agreed that the Lansdowne Road agreement is in trouble but was critical of the government’s handling of industrial relations matters. He claimed that a delay by ministers in meeting union leaders has created “bad vibes” between unions and government. 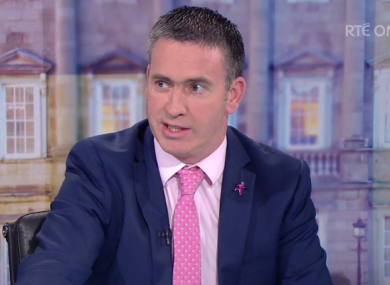 Minister of State Damien English denied that the pay deal was unravelling but accepted that all public sector pay is subject to review. English also accepted that Fine Gael’s ‘keep the recovery going’ election slogan may have created the wrong impression for agitating workers. “Part of the ‘keep the recovery going’ message was that we actually continued with prudent politics and prudent decision-making around budgets and finance. And that’s there if you read through our manifesto, and maybe we didn’t explain the message very well,” he said. Email “Is the Lansdowne Road pay agreement dead in the water? ”. Feedback on “Is the Lansdowne Road pay agreement dead in the water? ”.